Great purchase from Atlantic Furniture. These chairs look high quality and you will save hundreds over other retailers. Went well with the table I have and don't take up a lot of space. The wife loves them and it did not break the bank. Pulling my dining room together. I love these chairs, they are just what I was hoping for. They seem very sturdy which is a big plus. Bought 6 of these chairs and got them in time for Thanksgiving. I love them. They look like something you would find at a high-end retailer. They are a crazy good deal. Love these, purchased these to match some chairs I already had and the color was perfect. They match my originals perfectly. These chairs look like we spent far more for them. Just what I wanted…!!! We bought a variety of chairs for our eight-foot kitchen table and these chairs are our favorite. No complaints. We've been using them for about 6 months. Love these chairs! Such a great price and looks so nice with my kitchen table. I have had these chairs for over a year now and they have held up wonderfully. They are well made and sturdy. Perfect height. Comfortable seating. GREAT for the price I paid! Brightens the dining area. This is my 5th order from Sunset Trading, and I am VERY pleased with all 5. Entire experience was a dream. Lexington Dining chairs look beautiful and complete our dining room. 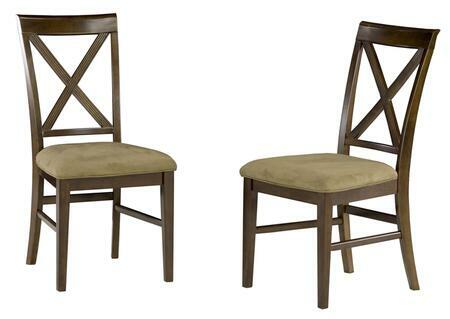 High back and light rocking swaying in chairs make extra comfortable dining chairs. Lexington Collection chairs from Atlantic Furniture are very comfortable, well-built and look incredible in my newly updated modern kitchen.